Millions of Americans travel with their families every summer, but pet owners may face an unexpected hurdle: What do you do if your dog is afraid to come along for the trip? We aren’t talking about a stubborn pet – your four-legged family member may be legitimately terrified of traveling with you. The fear isn’t your pet’s fault, either – animals can experience travel anxiety, and CBD Pet Oil can help. What Is Travel Anxiety In Pets? The condition can impact even the most adventurous animals, and it’s especially common in dogs and cats. What is travel anxiety in pets? Travel anxiety is caused by an unhealthy level of stress about leaving home, especially when going somewhere unfamiliar. If your pet experiences travel anxiety, you’ll likely want to seek relief, so you can both travel with comfort and peace of mind. More pet owners are considering CBD Pet Oil to help ease their dogs’ anxiety during travel. As you learn more about travel anxiety in dogs, consider trying CBD, a natural and often effective solution. Traditionally, pets that have travel anxiety are prescribed medication to help them calm down. For example, dogs may take Alprazolam (Xanax) or Lorazepam (Ativan), while cats may be prescribed Fluoxetine (Prozac) or Sertraline (Zoloft). Many traditional medications can cause side effects like diarrhea and lethargy and even lead to behavioral changes, which is why many pet owners are turning to CBD Pet Oil, a natural solution that isn’t associated with the side effects that other medications can cause. What Are The Symptoms Of Travel Anxiety In Pets? While you and I can vocalize our travel anxiety and ask for help, your pet’s physical and behavioral symptoms may be your only sign. Your pet may display distressing symptoms like trembling, diarrhea, and hiding. Seeing your animal companion so nervous can impact your wellness, too. Although it’s perfectly reasonable to travel with your pet, you might feel guilty or sad about triggering his or her anxiety. Talk to a veterinarian about your pet’s travel anxiety before making any treatment decisions and consider the benefits of CBD Pet Oil as you weigh your options. If your furry friend has travel anxiety, it can drastically change your quality of life. We’ll do anything for our pets, and you might even avoid traveling long distances altogether if your pet is severely affected when you’re away from home. What Is CBD Pet Oil? CBD Oil, also called Hemp Oil, can be extracted from Hemp or Marijuana plants. It’s used to treat chronic pain, insomnia, and anxiety in humans, and we aren’t the only ones who benefit from CBD. Your pets may also receive the comfort they need to relieve travel anxiety through CBD Oil. At Hemp Bombs, our CBD Pet Oil is certified pure and made with superior-grade Industrial Hemp. All our products are made with CBD isolate, which means there’s no THC and your dog won’t experience any psychoactive symptoms. We have something in common with our beloved pets: We all have Endocannabinoid Systems. The Endocannabinoid System, or ECS, is a system in your body that helps regulate functions like sleep and pain management, and its cell receptors send signals to your body once you take CBD. When you take CBD, the amount of anandamide in your system will likely increase. Anandamide is a neurotransmitter that’s sometimes called the “bliss molecule” because of the wellness benefits it brings. Animals respond similarly, which is why CBD is often used with pets. CBD has a natural calming effect, which can make it an ideal solution to try when dealing with travel anxiety in pets. CBD Oil is easy for pet owners to administer. 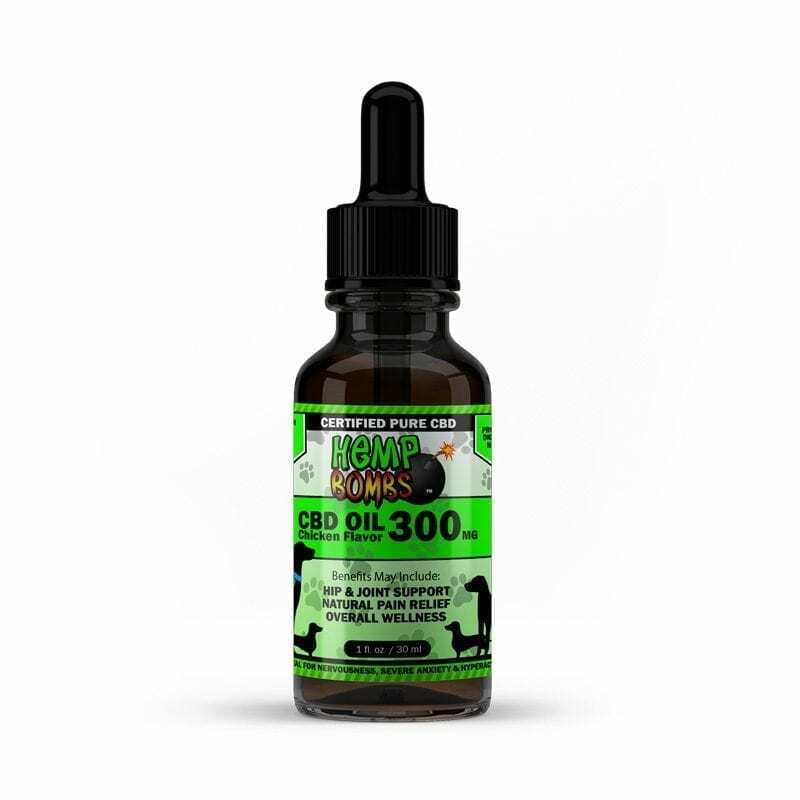 Hemp Bombs CBD Pet Oil comes in two flavors – chicken and beef – so you can choose which flavor you think your pet will like best or buy both and see which one they prefer. 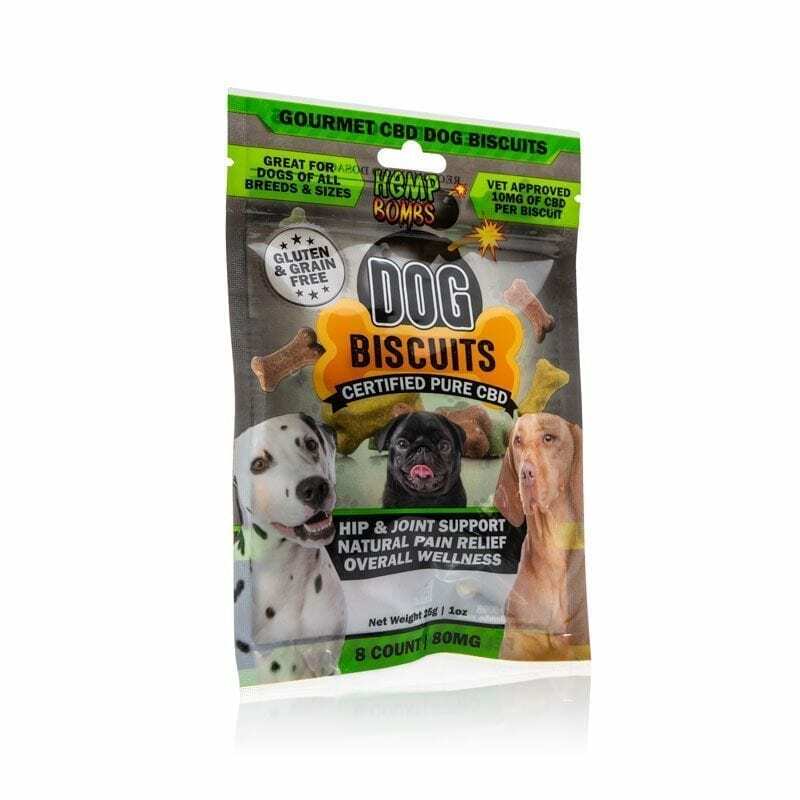 Many of our customers tell us that their animals can’t get enough of both flavors! You can administer it directly on the tongue, put it in a water bowl or mix it in with food, and you can check out our Hemp Bombs pet oil dosing guide for more information. We recommend trying CBD Pet Oil at home before a trip because every animal reacts differently. Don’t forget to talk to your veterinarian before making any adjustments to your dog’s supplement and medication regimen. Travel anxiety can make it harder to explore the world with your pet, but CBD Pet Oil could make your pet feel better and your summer much easier. Whenever you decide to travel with Fido, packing CBD Pet Oil is a great choice. Learn more about Hemp Bombs CBD Pet Oils.